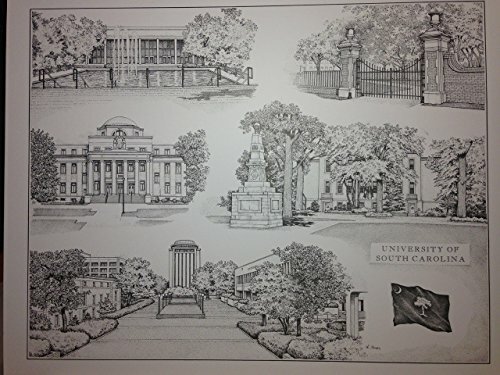 Limited Edition pen and ink print from hand-drawn original of the University of South Carolina - Columbia campus. Includes scenes of the Horseshoe Gates, McKissick Building, Cooper Library, Capstone, and the Maxcy Monument; all notable landmarks on South Carolina's Columbia campus. It is from a series of 500 prints and is signed and numbered. Your purchase includes print, foam-core backing, and about-the-artist flyer within an acid-free packaging.